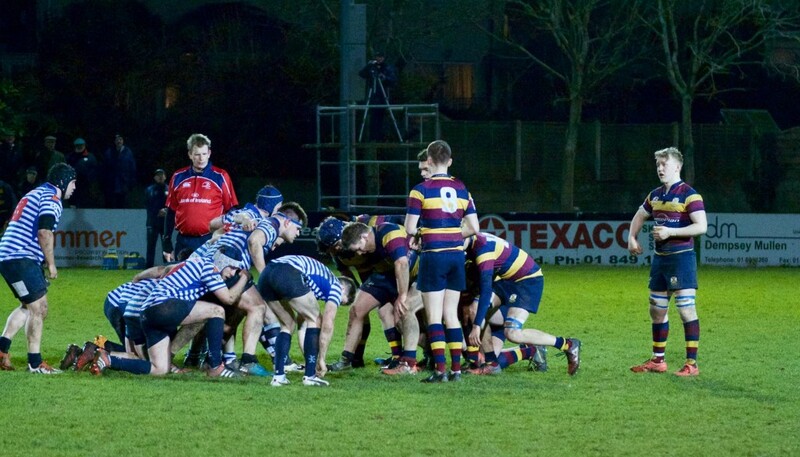 Skerries J1’s went into this match knowing a win was essential. Black rock were current leaders of Metro 4 League approaching the final few matches. Skerries made a few enforced changes. Tom O Hare in at open side wing forward and Michael Cauldwell in for injured Milo McCarthy. The first half was played out evenly with both team providing excellent attacking rugby but also stout defence. After 30 mins Blackrock were ahead 9 – 3. Then Skerries put some good phases together and were awarded a try in the corner by Paul Devitt, difficult conversion was missed. Half time was 9 – 8 to Rock. Second half was just as intense with both side having a real go. 15 mins in Skerries were rewarded a penalty which was kicked to the corner. The resulting line out was clean and the pack burrowed their way over the line, the man with the crucial touch down was Kieran Leonard, conversion was successful by Billy Mulcahy which left score 15 – 9. Within five mins of restart some good work allowed Sean Attley to touch down and duly converted by Mulcahy leaving score 22 – 9 to Skerries. Skerries continued to take the game to Rock and were rewarded with a try on the short side from an initial 10 meter scrum. Good work allowed Mulcahy to score unopposed and the superbly converting his own try to make the score 29 – 9 and bonus point secured. Some changes were enforced with Vin Watson, Darragh Joyce and Dara Lowndes being introduced. For the last 10 mins, Skerries were forced to defend. Rock scored 2 tries and 1 conversion to leave final score 29 – 21. Excellent team performance by whole 20 players. Some stand out performances by Tom OHare, Conn Marrey, Martin, Leonard & Ronayne in front row while Jim Mulvany for forraged away. Colin McMahon had excellent game at scrum half while Mulcahy controlled things bringing his hard working back line into play. This win still leaves it all to play for. Skerries head to UCD next week knowing the job still needs to be finished. Well done to everyone on a excellent performance .